“Who are you wearing?” That simple phrase set the stage for the Oscar stars and starlets who attended Sunday nights award show. While this question may to many be a useless part of the Oscars, that is pretentious and boastful, to others who know the significance of this question it is a must have at events like the Oscars. “Who are you wearing?”;allowing this question to be asked in front of 40 million viewers who tune in to watch the Oscars is a business venture that designer look forward to every year. A large backlash to the question has arisen and even labeled asking it as a form of sexism. However, designers do not wish to lose this opportunity to use the Oscars as a platform to endorse their brands and Actresses/Actors do not wish to lose what could turn into a lucrative position as a brand ambassador. No matter what side you may take, what was worn by those attending the Oscars was truly a sight to behold, and instead of just asking “who” a person wore, people should take a look at who wore it best. Fashion cannot be bound by rules and anyone who has grown up watching the Oscars are used to see women covered in diamonds with extravagant dresses flowing behind them, and recently the men attending the Oscars have begun to look just as dazzling. 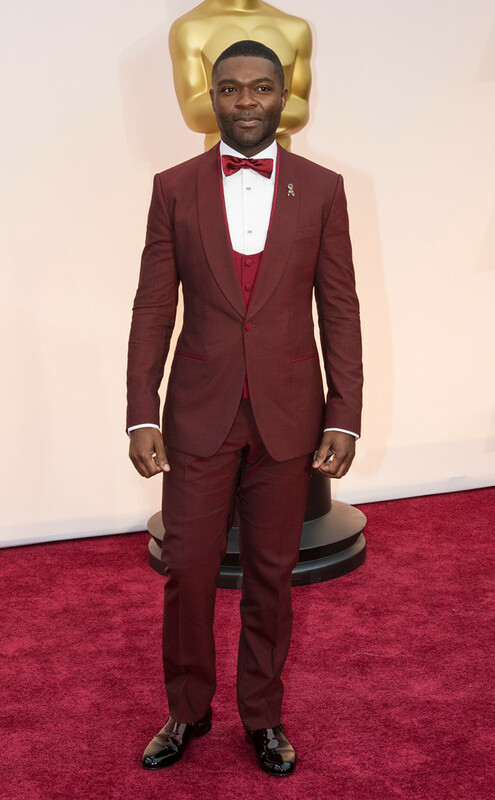 With a move away from the traditional black attire, men have become contenders for best dressed at the Oscars 2015. David Oyelowo donned a deep red Dolce&Gabbana Tuxedo. 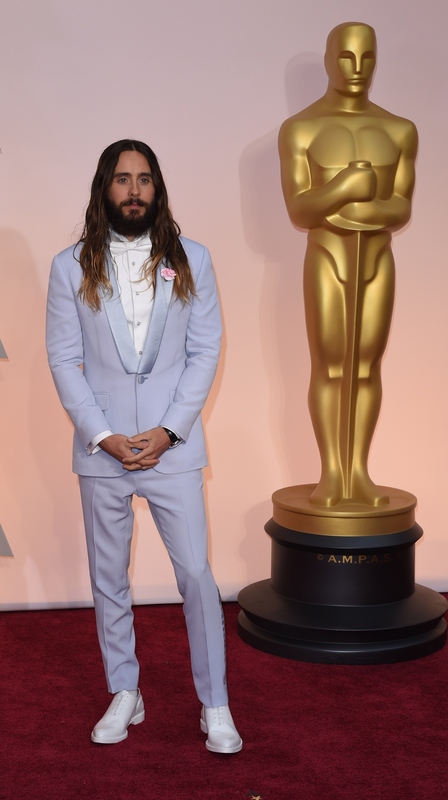 Jared Leto in his pastel blue custom Givenchy suit caused quite a bit of stir. While many did not appreciate his looks, it truly should have been awarded a round of applauds for it being worn so well. Leto deserved tens across the board. Jared Leto wearing pastel blue custom Givenchy suit and Fred Leighton brooch. 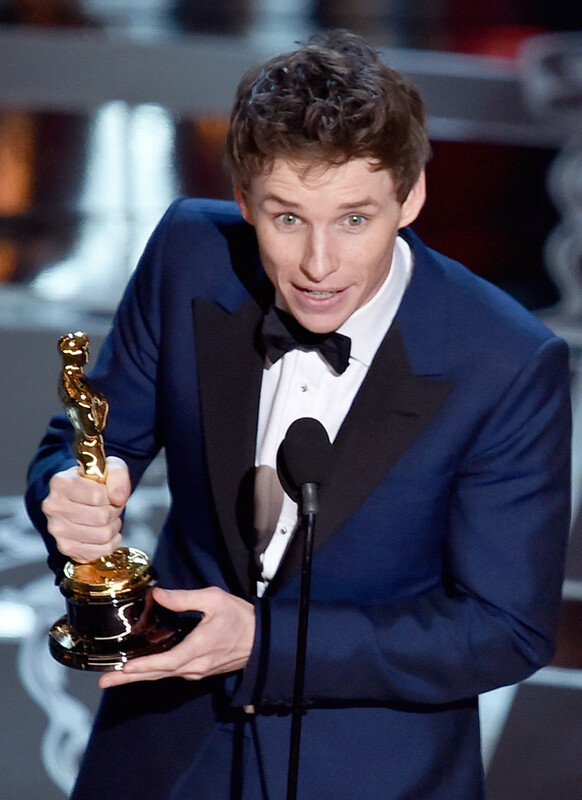 If votes had to be cast, then it would be very likely that Eddie Redmayne would have been up for best dressed. Eddie Redmayne in Alexander McQueen. Continuing the trend of “Men in Blue”, Miles Teller was among the Oscars best dressed. Aside from the men, certain women should be honored for their taste, style, and elegance. Among these women are Lupita Nyongo, Oprah Winfrey, Octavia Spencer, and Viola Davis. Each of these women have reached the pinnacle of success and showed that even possessing a beauty that is not “classical”, they are unmatched in appearance and in dress. Lupita Nyono appeared regal and statuest as usual, delivering an eloquent speech and wearing a Calvin Klein gown made out of 6,000 pearls. Oprah, who is among some of the most important personages to attend the Oscars, did so beautifully. 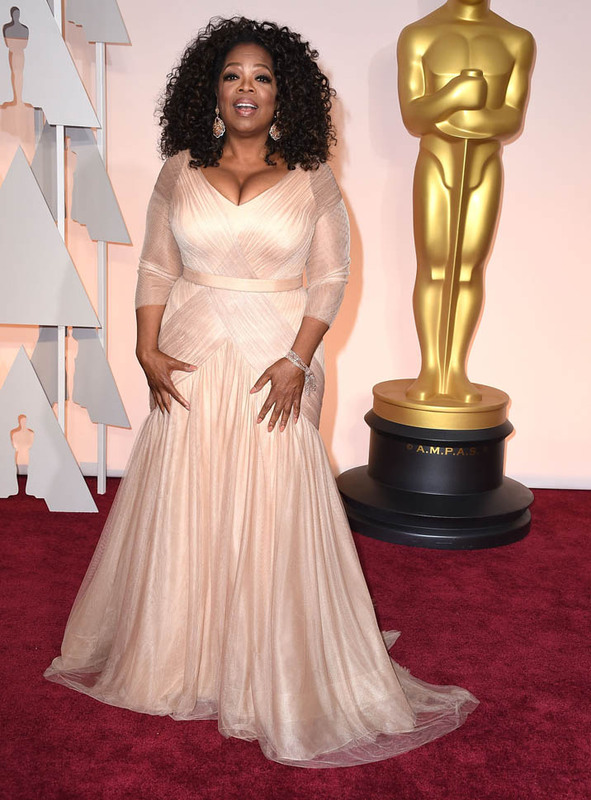 Black, bold, and beautiful Oprah wore a Vera Wang collection gown. 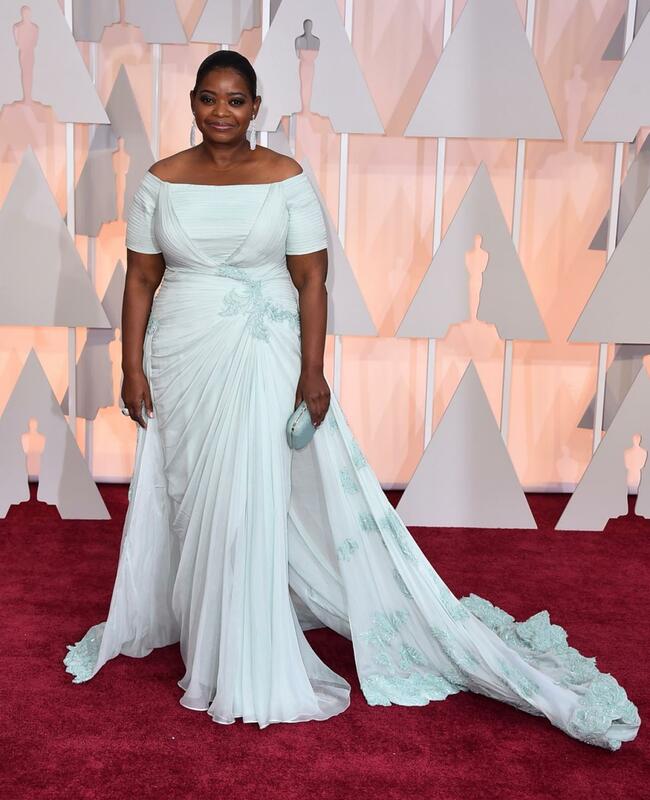 Octavia Spencer showed her elegant neckline and beautiful bust wearing a Tadashi Shoji gown. 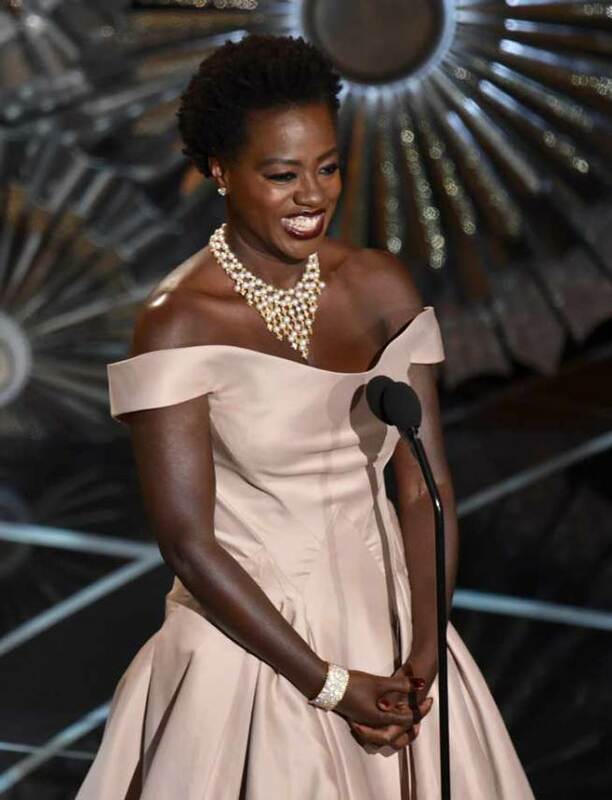 Having responded to comments about her appearance multiple times, and bared all on the hit show “How to Get Away With Murder”, Viola appeared at the Oscars showcasing her natural hair and wearing a pink Zac Posen dress with Van Cleef & Arpels ‘Valadon’ choker. The following pictures features some of our favorites. Chrissy Tiegen appeared next to her husband, John Legend, at the Oscars in a Zuhair Murad Gown. Rite Ora, who is always a fan favorite, wore a Midnight blue Marchesa Gown, which garnered much attention. Rita Ora in Marchesa gown. Dorith Mous in a stunning red gown. Doris Mous in red gown. Emma Ston wearing a chartreuse custom Elie Saab gown. Emma Stone in a gold gown designed by Eli Saab. 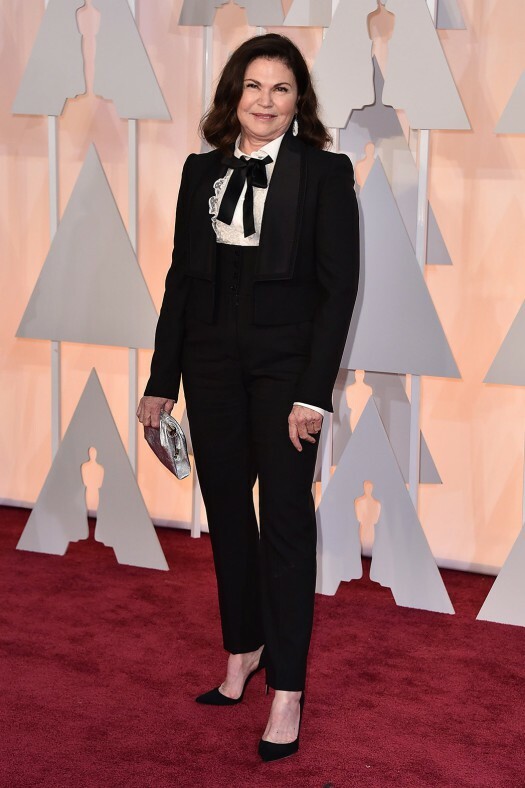 Colleen Atwood, who is known for her extravagant dress designs for films, chose to wear a suit instead of a gown, and it appears she knew exactly what she was doing.